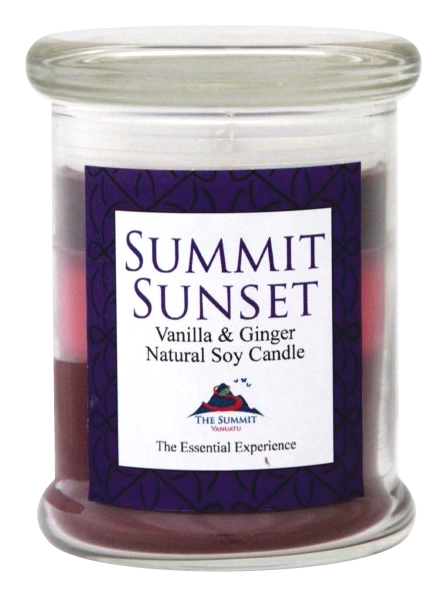 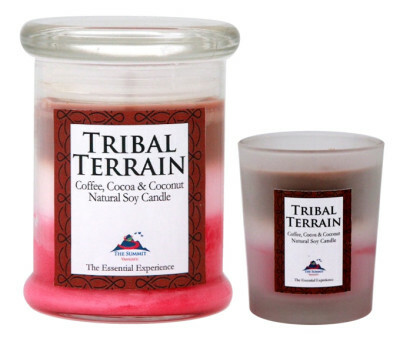 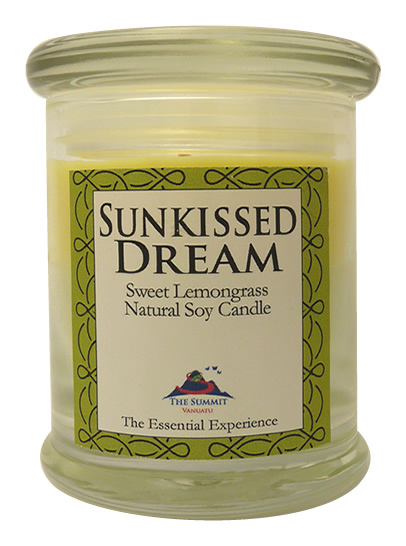 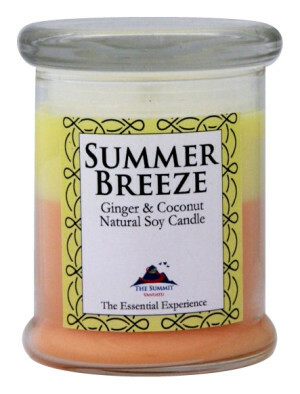 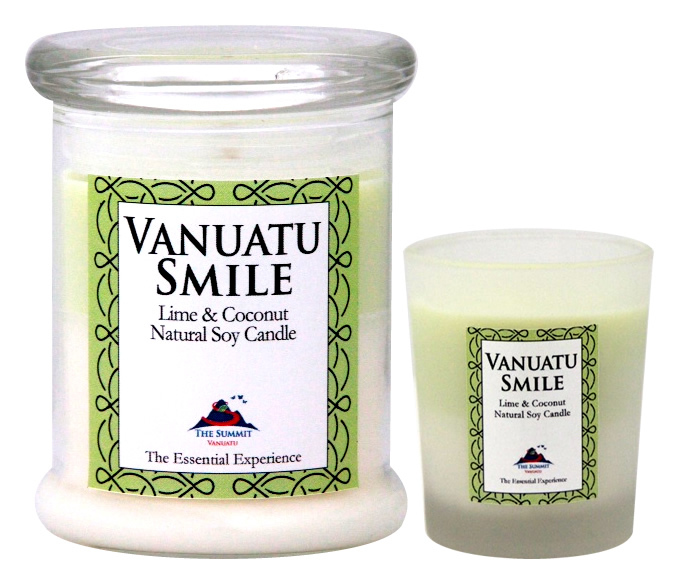 Made in the untainted, eco-friendly environment at The Summit, and in Vanuatu generally, from 100% soy wax and lead free wicks, are our hand poured candles. 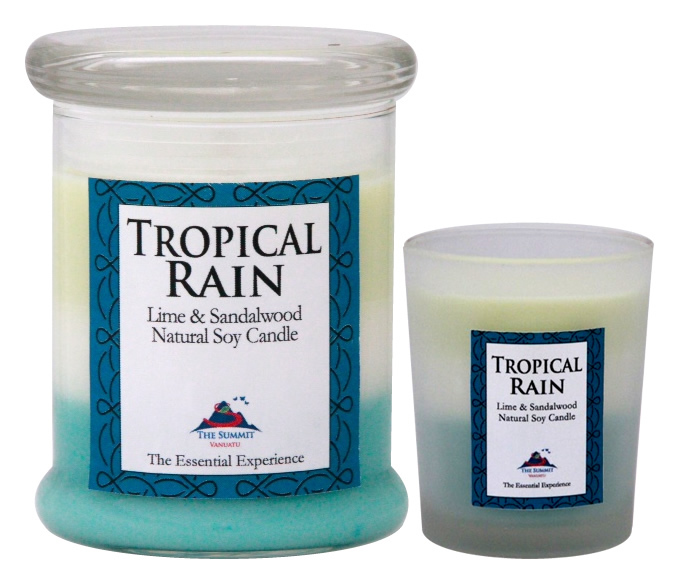 You will love the unsullied, toxin-free results as you inhale the tropical scents of sandalwood, lime, vanilla, frangipani and others. 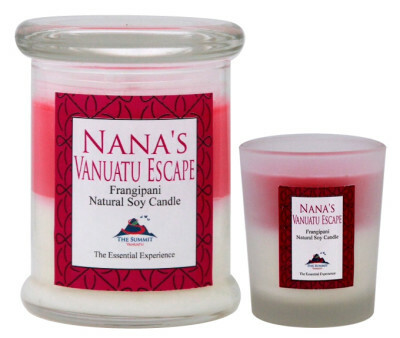 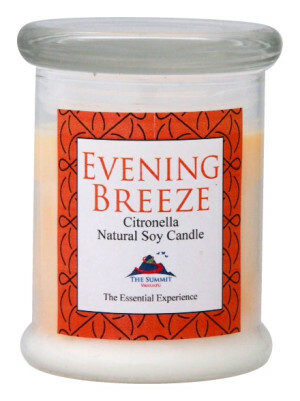 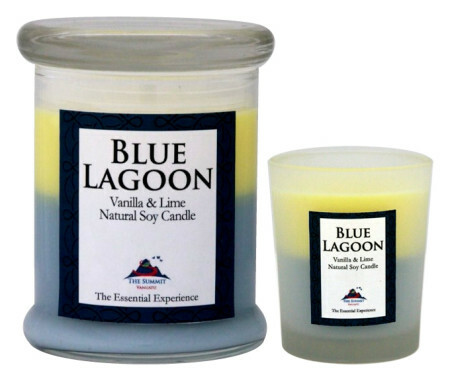 Aromatherapy Soy Candles to soothe your senses and take you back to your Amazing Vanuatu visit.. Aromatherapy Soy Candles that will make your home, your office, your bedroom smell tropically divine..